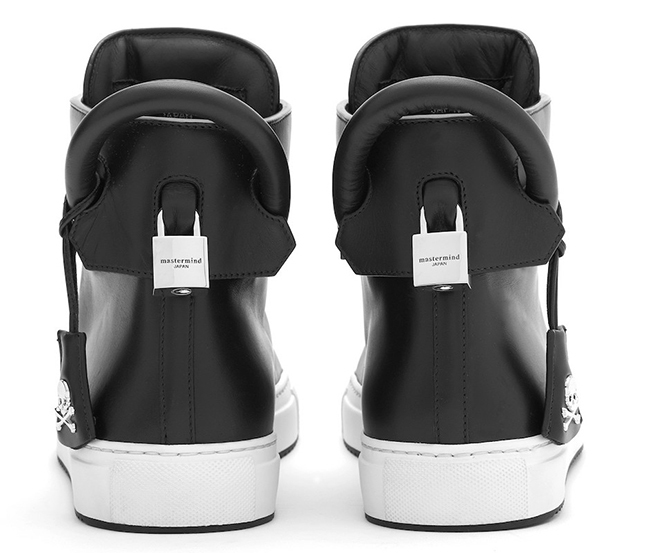 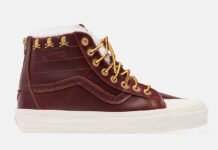 Buscemi is proud to announce its latest sneaker release, a collaboration with Tokyo streetwear brand mastermind JAPAN. 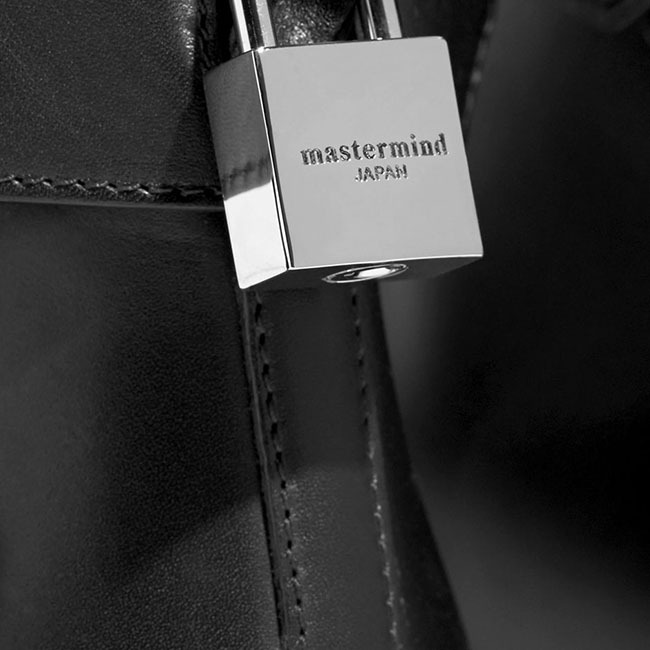 Building on the Japan-inspired elements of its Fall 2016 collection, Buscemi and mastermind JAPAN come together to create a shoe that celebrates Japan’s unique take on streetwear. 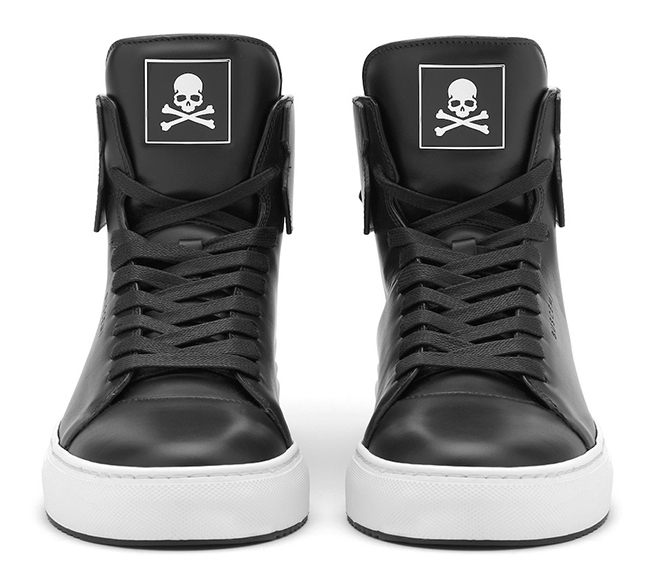 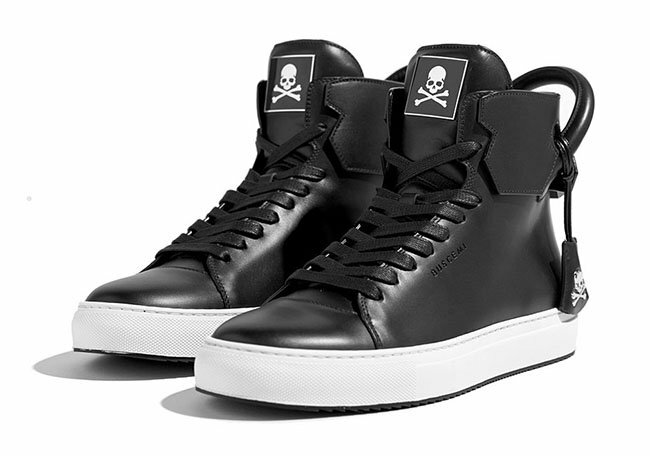 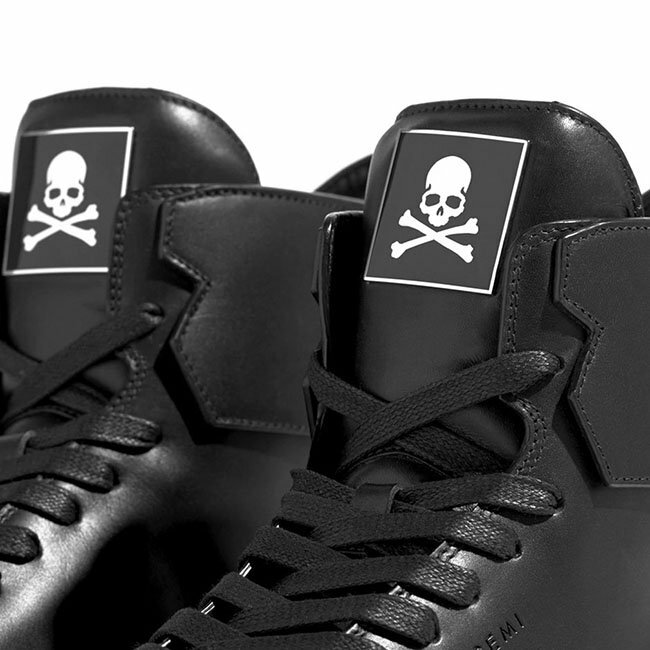 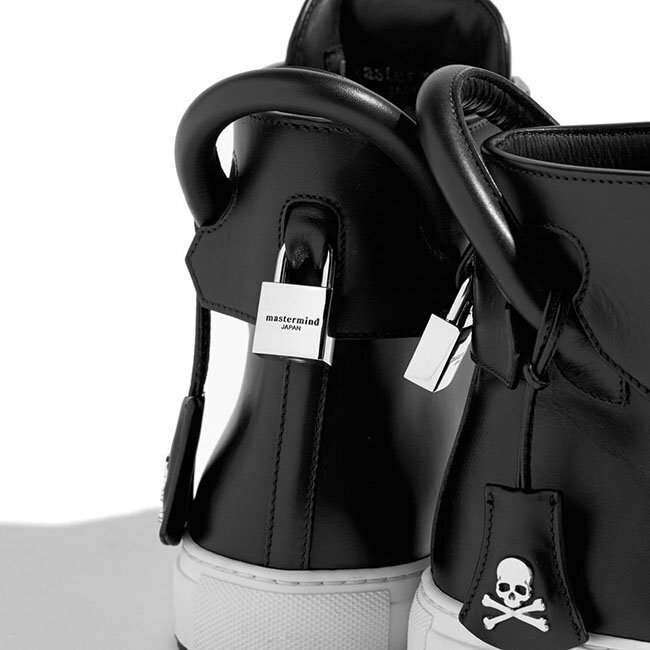 Made from the finest calf leather, the black and white 125MM high-top features the classic Buscemi notched collar and heel handle and mastermind’s signature skull-and-crossbones upon the tongue and key clochette. 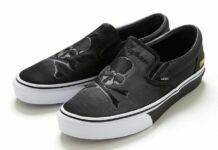 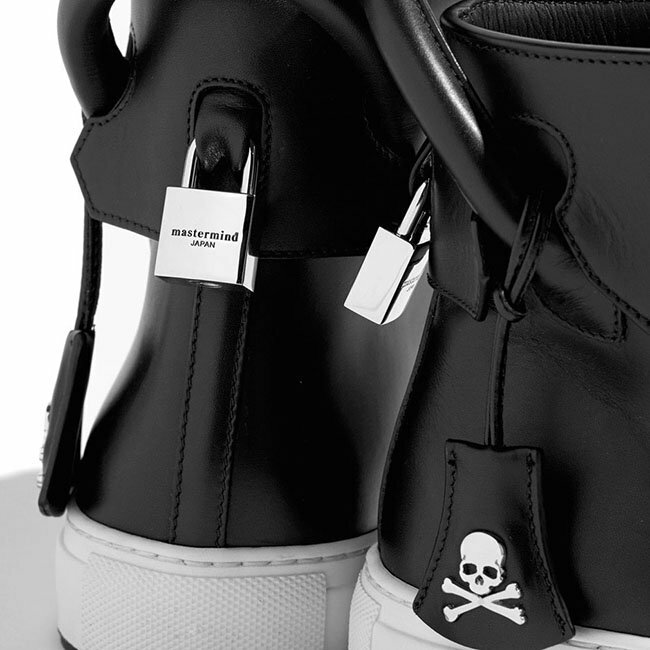 The mastermind logo is engraved on the heel lock. 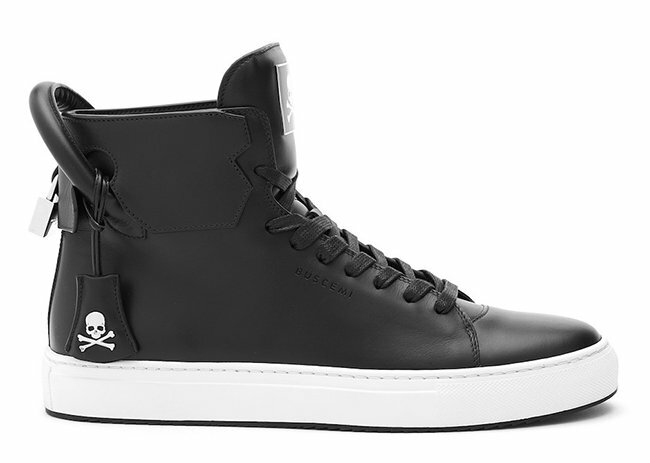 The Buscemi x mastermind JAPAN 125MM high top is available now in limited quantities through BUSCEMI.com.